I’m a newly minted Jeannie Marshall fan. I first learned about Jeannie when she sent me a direct message on Twitter asking for my address so that she could send me a copy of her new book, Outside the Box: Why Our Children Need Real Food, Not Food Products for review. Being immersed in writing my own book, having 3 young children, running a busy medical office, and working on two new ventures that still aren’t ready to be unveiled, I wrote back thanking her, but that I was likely too busy to read it right now. She rapidly tweeted back not to worry, I didn’t need to read it, I just needed to put a sticky note on it stating, “Brilliant” , and then leave it on my desk. I think I literally laughed out loud. The book arrived a week or two later, and (sorry Jeannie), without a “Brilliant” post-it, it sat on my desk. When it came time to pack for my recent 40th birthday trip to Scotland (thanks Dad!) for the Speyside Whiskey Festival (amazing), and having read a beautifully written article by Jeannie in the Globe and Mail, I decided to bring it along. “read the health pages of the newspaper for advice on which nutrients we need, or we read the labels on boxes to find out what to eat instead of following the traditional wisdom of our culture”. Scarier still that traditional wisdom is often two generations old at this point, and is at risk of disappearing altogether. Jeannie’s writing is a delight. Very easy to read, warm and engaging, and she makes a strong case for a return to home cooking. The bond she’s forming with her young son Nico permeates her work, and more to the point, it's being forged in her kitchen. The one area where I wish Jeannie spent more time were in solutions. While she definitely covers the issue of the time involved well (it doesn’t need to be fancy or take forever), she doesn’t spend much on the dollars involved in procuring fresh food and indeed, this is a very common and regular argument that comes up when discussing home cooking. That said, in part I think it’s about priorities. I’d argue that actual food and cooking are often prioritized far lower on the totem pole of needs than they need to be, where families, including poor ones, are spending as much or more on a fast food dinner than they might have on home cooked meals. What I think is missing isn't necessarily the direct dollars, but the indirect effect poverty might have on the skill set as a function of lesser access to higher education and greater time demands, and that failing is part and parcel of the problem Jeannie’s described – the industrialization of not just modern day food, but also our modern day relationship with it. I’d also have loved a few recipes. Whether it was for her pappa, Valencia’s soup and meatballs, fresh pasta, or a pasta madre – her writing is so passionate, it made me want to try them all. 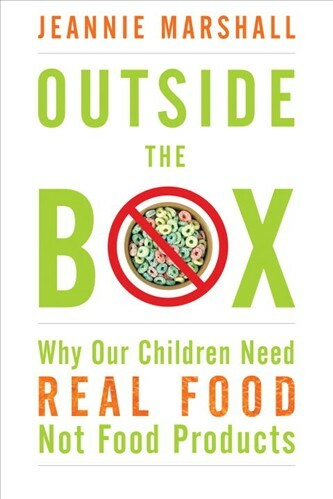 I also have to call her on one small paragraph of the book where she suggests whole foods have magic calories that somehow don’t count (they all do, healthy or otherwise), but all told, this was a wonderful read and one I’d recommend to everyone, and especially to families with young children. Jeannie, thanks for a great read, and if you’re ever in Ottawa and you’d like to trade an airport pickup and a night in my home for teaching my wife and I a few recipes from Italy, you’ve got a deal (and if you bring me part of an old pasta madre, I'll even share some of the 30 year old Glenfarclas I was drinking while reading parts of your book). Consider this my "Brilliant" post-it.